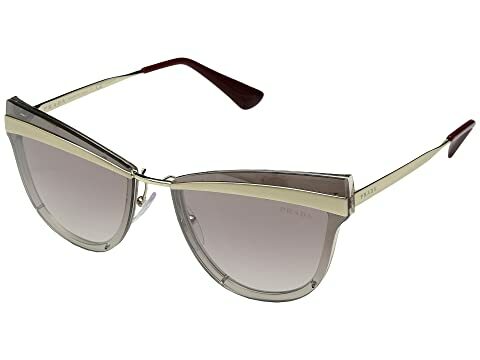 Vamp up your style wearing these Prada™ sunglasses. Strong metal frame with temples. Smooth mirrored and polarized lenses offer 100% UV protection softly embossed with brand logo at left lens. We can't currently find any similar items for the 0PR 12US by Prada. Sorry!